David Grisman (*23 March 1945, Hackensack, New Jersey, USA). The American bluegrass/newgrass mandolinist and composer started his musical career in 1963 as a member of the Even Dozen Jug Band. His nickname "Dawg" was affectionately assigned by his close friend Jerry Garcia in 1973. Dawg Music is what he calls his mixture of bluegrass, folk, Old World Mediterranean string band music and Django Reinhardt/Stéphane Grappelli-influenced jazz as well as modern jazz fusion. David Grisman has released solo records and albums with his own groups, performed in collaborations with many other artists in different genres (Andy Statman, John Sebastian, Tony Rice) and had played in the psychedelic band Earth Opera with Peter Rowan. Soïg Sibéril (*1 February 1955, Paris, France). 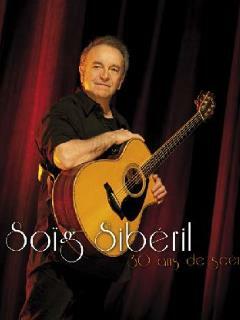 An innovative guitarist, Soïg Sibéril is one of the pioneers of the implementation of the guitar as a complete instrument in traditional Breton music. He started playing guitar at the age of 18, inspired by blues and folk music (Bob Dylan). Soïg Sibéril moved to Britanny in the mid 1970s, picked up by the Breton wave that conquered Paris (Alan Stivell at the Olympia etc). 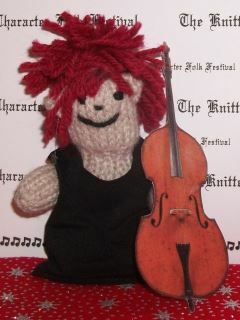 At the fest-noz, he discovered traditional Breton music. In 1975, he also met the Irish guitarist Michael O'Donnell, who introduced him to open DADGAD tuning. Soïg would adapt these drone sounds to the Breton repertoire. Siberil has been a member of many great Breton bands including Kornog, Gwerz, Pennou Skoulm, Orion, and more recently the Celtic rock band Breizharock. 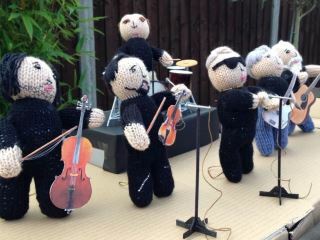 He collaborated with artists such as Jamie McMenemy, Nolwenn Korbell and Evelyne Girardon. Gilles Servat (*1 February 1945, Tarbes, France). The Breton singer grew up in southern France, born into a family whose roots lay in the Nantes region of Brittany. Servat's music was originally inspired by the works of Breton musicians Glenmor and Alan Stivell. The title song from his first album, "La blanche Hermine", the White Ermine being the national emblem of Brittany, became an anthem for Bretons. In 1998 though, he released the album "Touche pas à la Blanche Hermine" (Don't Touch The White Stoat) as a defiant stand against the French National Front who had used Servat's song during its meetings. 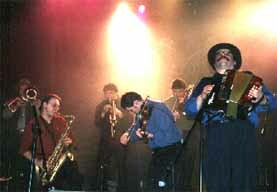 In the 1990s Gilles Servat became part of the Héritage des Celtes led by Dan Ar Braz. He has also authored several novels inspired by Celtic myths and legends. 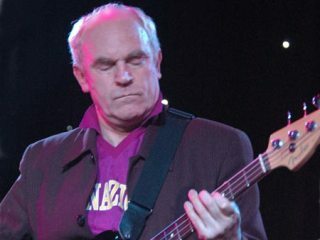 Ashley Hutchings (*26 January 1945, Southgate, UK). The man often referred to as The Guv'nor' has worked tirelessly upholding and championing the English tradition. As a teenager the bass player, vocalist and songwriter became involved in the skiffle and blues movements. He met guitarist Simon Nicol in 1966, they rehearsed on the floor above Nicol's father's medical practice in a house called "Fairport" and lent its name to the group they formed together as Fairport Convention in 1967 with Richard Thompson. Hutchings played on the band's first four albums. The focus of the band changed with the introduction of fiddler Dave Swarbrick into the line up. This prompted Hutchings to carry out research in the English Folk Dance & Song Society Library at Cecil Sharp House which resulted in the pioneering classic "Liege and Lief" (1969), seen by many as the foundation of a distinctively English folk rock. Unhappy with the direction of the band, as most members wanted to return to their older format, he left in 1969 to focus on more traditional projects. Steeleye Span was formed by putting together two established folk duos, Tim Hart and Maddy Prior with Terry and Gay Woods, the latter soon replaced by Martin Carthy and Peter Knight, recording electric versions of traditional songs. The push for a more commercial sound prompted Hutchings to leave the band. He had already gathered together the first incarnation of what has been the major outlet for his work, the Albion Country Band. With many bewildering line-up changes, they continued to record and tour regularly until 2002. 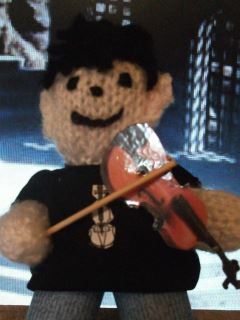 He continues to tour in the Christmas season with the Albion Christmas Band. Steve Earle (*17 January 1955, Fort Monroe, Virginia, USA). The American rock, country and folk singer-songwriter is reported to have run away from home at age 14 to follow his hero and role model Townes Van Zandt around Texas. 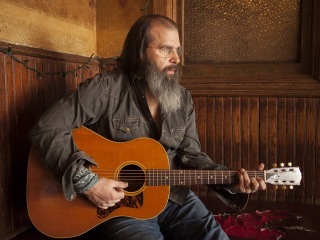 Steve Earle began his career as a songwriter in Nashville. His breakthrough was the 1986 album "Guitar Town", the title track became a Top Ten single. In 1989, "Copperhead Road" has been characterized as a quixotic project that mixed a lyrical folk tradition with hard rock and eclectic Irish influences such as The Pogues, who guested on the record. In the mid 1990s he successfully battled his heroin addiction, and made a foray into bluegrass music in 1999 when he released the album "The Mountain" with the Del McCoury Band. In the early 2000s, "Jerusalem" expressed his anti-war and anti-death penalty politics. "The Revolution Starts Now" (2004) had been influenced by the Iraq war and George W. Bush and won a Grammy for best contemporary folk album. In 2009, his tribute album "Townes" earned him another Grammy award. "We're Not Really a Folk Group"
Dave Cousins (*7 January 1945, Hounslow, Middlesex, UK). The English singer and songwriter has been the leader, singer and most active songwriter of The Strawbs since 1967. Dave Cousins (born David Joseph Hindson) was a founding member of the band originally known as the Strawberry Hill Boys, which started out as a bluegrass band, but eventually moved onto to other styles (folk, folk rock, progressive rock). Cousins has also followed a career in radio and has been instrumental in many successful franchise ventures involving local radio stations in the UK. 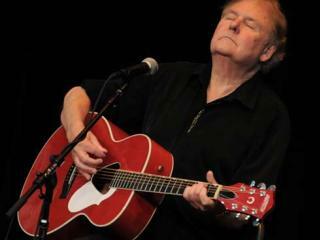 He is touring North America and Europe with the Acoustic Strawbs several months every year. Stephen Stills (*3 January 1945, USA). The American guitarist is best known for his work with Buffalo Springfield (spawning the hit single, the Stills-penned "For What It's Worth") and Crosby, Stills & Nash (and Young). Stephen Stills would say that Neill Young was doing what he always wanted to do, play folk music in a rock band. He draws from rock&roll, blues, country, folk and Latin music. His primary alternate tuning is EEEEBE (Palmer modal tuning), which can be heard in "Suite: Judy Blue Eyes". Stills was ranked in Rolling Stone Magazine's list of "The 100 Greatest Guitarists of All Time" in both 2003 and 2011. He became the first person to be inducted twice on the same night into the Rock and Roll Hall of Fame for his work with CSN and Buffalo Springfield. Eddie Furey (*24 December 1944, Ballyfermot, Dublin, USA). In 1976, four brothers of Irish Traveller heritage from Ballyfermot, Dublin — Eddie, Finbar, Paul and George Furey — formed an Irish male folk band, later called The Fureys and eventually The Fureys and Davey Arthur. 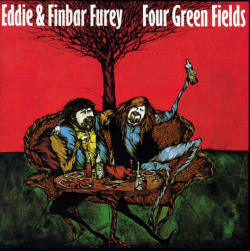 Prior to the band's formation, two of the brothers had toured as a duo known simply by their names as Eddie and Finbar Furey. In 1981, The Fureys released their most successful single "When You Were Sweet Sixteen", becoming a worldwide hit. Anna McGarrigle (*4 December 1944, Montreal, Quebec, Canada). The Canadian folk music singer and songwriter wrote and performed as a duo with her sister, Kate McGarrigle, until Kate's death in 2010. In the 1960s, Kate and Anna McGarrigle had established themselves in Montreal's burgeoning folk scene. Their 1975 self-titled debut album was chosen by Melody Maker as Best Record of the Year. 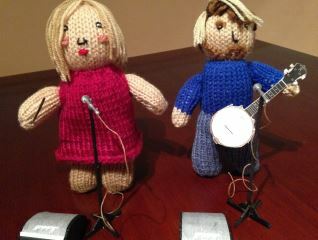 Their albums "Matapedia" (1996) and "The McGarrigle Hour" (1998) won Juno Awards. Anna McGarrigle was made a Member of the Order of Canada in 1993, and received a Women of Originality award (1999) and a SOCAN Lifetime Achievement award (2006). Ralph McTell (*3 December 1944, Farnborough, Kent, UK). Born Ralph May, the English singer-songwriter and guitarist has been an influential figure on the UK folk music scene since the 1960s. He was named after Ralph Vaughan Williams – his father had worked as the composer's gardener before the war. Fellow musician Wizz Jones suggested the stage name McTell, since his guitar playing has been modelled on the style of the early 20th century country blues guitar players such as Robert Johnson and Blind Willie McTell. McTell is best known for his tale of Irish emigration, "From Clare to Here," and the song "Streets of London", which has been covered by over two hundred artists around the world. 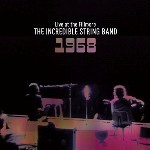 He recorded it first in 1968, and again in 1974 (with bassist Rod Clements and backing vocalists Prelude). It rocketed up the charts to #2, became a worldwide million-seller, and won McTell the Ivor Novello Award. Chris Smither (*11 November 1944, Miami, Florida, United States). In 2014 Chris Smither marked 50 Years of Songwriting with the release of the double-CD retrospective "Still On the Levee," featuring new takes on 24 iconic songs. Signature Sounds also released an all-star tribute record including a stellar list of artists offering their takes on some Smither favorites, including Josh Ritter, Bonnie Raitt, Loudon Wainwright III, Dave Alvin, Tim O’Brien, and many others. Chris Smither's trademark sound: fingerpicked acoustic guitar and evocative sonic textures meshed with spare, brilliant songs, delivered in a bone-wise, hard-won voice. His music (Emmylou Harris, for example, recorded his song "Slow Surprise" for the Horse Whisperer soundtrack) draws deeply from blues and folk music, Mississippi John Hurt and Lightnin' Hopkins being cornerstone influences. I see that the wonderful singer Shelia Stewart has died. One of the famous Stewarts of Blairgowrie, the family of travelling people, who during the UK Folk Revival in the first 2 decades after WW2 , became the foremost “source family” after the “Copper family of Rottingdean”. Here she is at her peak. She is about 34 years old here. She is in the family cottage in Blairgowrie, and Ewan MacColl and Peggy Seeger are at her immediate right. She could sing with such passion. The great gypsy flamenco guitarist Manitas de Plata, has died at 93. Here is a typically wonderful obituary from the home of the best obits in the British press: The Economist magazine. And here he is from about 30 years ago. Truly death is as wondrous a thing as birth! Amazing to think that those incredible hands are finally silent. Popsy Dixon (†2015). The drummer and singer of the Holmes Brothers died of bladder cancer on January 9, 2015. The Holmes Brothers are an American musical trio originally from Christchurch, Virginia, formed in 1979. Mixing sounds from blues, soul, gospel, country and rhythm & blues, they have released twelve studio albums, with three reaching the top 5 on the Billboard Blues Albums chart. In 1992, they were signed to Peter Gabriel's Real World Records as the first American act on the prestigious British world music label. They won the Blues Music Award from the Blues Foundation for Band of the Year in 2005 and for the Soul Blues Album of the Year in 2008. Clive Palmer (1943-2014). British folk musician and banjoist Clive Harold Palmer died on 23 November 2014 in Penzance after a long illness. Born in Edmonton, North London, Clive Palmer first went on stage at the age of 8, and took banjo lessons from the age of 10. Around 1957 he began playing with jazz bands in Soho. He began busking with Wizz Jones in Paris in 1959–60, before moving to Edinburgh in late 1962. By now a virtuoso banjo player, he teamed up as a duo with singer and guitarist Robin Williamson in 1963, playing traditional and bluegrass songs. They became the avant-garde folk group Incredible String Band in 1965 and added a third member, Mike Heron. After recording the first ISB album, Palmer travelled to India, where he played on national television, and Afghanistan. On his return, he left the increasingly successful group to pursue his own musical career. 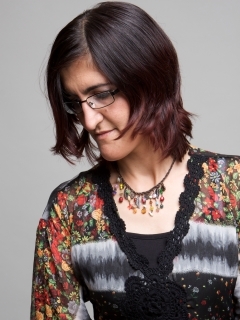 Sakîna: "Blick in eine ..."
World Music for War Child is the first world music compilation produced by the UK’s most established world music label, ARC Music, in support of the UK charity War Child. All profits from this album go to War Child UK in aid of children in war-torn regions around the world. World Music for War Child features 17 songs and instrumentals about peace, children and a better future for all people on this Earth. Participating artists include: Ahmed Mukhtar, Arinushka Folk Group & Linas Rimša, Bapi Das Baul & Baul Bishwa, Blessings Nqo Nkomo, Common Chords, Elemotho, Gondwana Dawn, Jason Carter, Lenka Lichtenberg & Roul Said, Yair Dalal, Sakîna, Shir, Slim Ali & The Hodi Boys, Sousou & Maher Cissoko, Tango Siempre, Techung and Zein Al-Jundi. ‘There are many war zones around the world where people, especially children suffer terribly. I feel honoured and really fortunate that we can contribute our music to War Child [UK] which changes lives for these innocent children.’ – Lenka Lichtenberg. ‘ Hello, my name is Techung and I am the singer from Tibet... My song [Snow Lion of Peace] is a tribute to our spiritual leader The Dalai Lama and everyone who is working for peace and non-violence in the world.’ – Techung. ‘The youngest victims of the world and most innocent are the children and what time will it be when there will be no more conflict in the world?’ – Yale Strom. 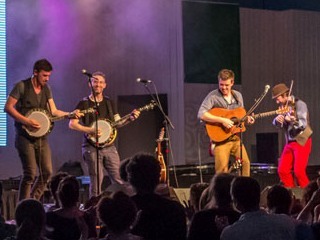 A top class line-up of Irish acts has been confirmed for INIS Fest, a music festival taking place in Ennis, County Clare, from June 26-28th 2015. The inaugural event features Damien Dempsey, Delorentos, Nathan Carter, The Kilfenora Céilí Band, Hermitage Green, Frankie Gavin and De Dannan, Finbar Furey and more acts to be announced. The three-day festival will see Active Ennis Tim Smythe Park being transformed into a world-class venue with a 3000-person capacity big top tent and an entertainment and leisure area featuring a Ferris wheel and food/drink stalls. 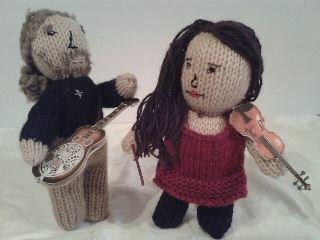 Kilfenora Céilí Band @ FW: "Now is the Hour"
Mick Flannery, Sharon Shannon, Stockton's Wing and Declan O'Rourke are included in the line-up of music acts for the 2015 Doolin Folk Festival. Other confirmed performers include O’Sahara, Colm Mac Con Iomaire, We Banjo 3, Paddy Keenan & Daoiri Farrell, Aldoc, Moxie, Fiddlecase, Dermot Byrne & Floriane Blancke & Brendan O’Reagan, Four Winds, Fiddlers’ Bid, Tóla Custy & Cyril O’Donoghue, The Lost Brothers, David Hope, Simon O’Reilly, Brian O'Leary & Friends, NoCrows, and Fiach Moriarty. Taking inspiration from the great festivals of the 1970s and 1980s, such as the nearby Lisdoonvarna, and from Clare's deep musical roots of the County, the Doolin Folk Festival will again present powerful music in the intimate setting of the Hotel Doolin Marquee from June 12th-14th. La Bottine Souriante @ FW: "Appelation d'O..."
»I know it is trendy now in Scotland for the natives not to take the late Sir Harry Lauder seriously. Well, I have news for them. I do not take THEM seriously. By “them” I mean those that diss Sir Harry as a toadie of the House of Windsor. To me, he was a superb singer of popular songs. Listening to him sing great songs like Keep Right On To The End Of The Road and Roaming In The Gloaming, still thrills me to my core. But seeing a friend's e-address recently, made me think of this item. When I was a kid, I used to hear on my radio Sir Harry sing a song that I thought was titled A Wee Jock and Doris. My mind could not make sense of that title, so I figured “ours not to reason why”. So I decided, a “Jock and Doris” must be Scottish vernacular for an alcoholic drink ... and presumably – because of the word “wee” - that meant whisky. Do you know what? (And here I identify myself as a dunce...) I truly must have been 40 years old before I found out that it was a Gaelic phrase! - Wee Deoch an Doris: A convivial song from the pen of Gerald Grafton and Sir Harry Lauder. Only a real Scot can properly get his tongue (and his throat) round "It's a braw bricht moonlicht nicht." It's a custom that's been carried out in every land and clime. Just a wee deoch an doris, just a wee drop, that's all. Just a wee deoch an doris afore we gang awa. There's a wee wifie waitin' in a wee but-an-ben. Well yer a'richt, ye ken. Now I like a man that is a man; a man that's straight and fair. The sort of man that will and can, in all things do his share. The chap that slaps your back and says, "Jock, just before we go..."
deoch an doris = Gaelic for a last drink at the door: more colloquially, a farewell drink. Daigressing (about.me/daiwoosnam): Should any FolkWorld reader want a regular free online mailing, just write me at DaiW@gmx.com. Tell me who you are and where you live please. You will join a large mailing list to 28 countries.